We assessed reported associations of CYP3A5 *1 allele with a delay in achieving target tacrolimus concentrations, and occurrence of biopsy-confirmed subclinical acute rejection (SAR) and chronic allograft nephropathy (CAN) in Japanese subjects. Forty-one renal allograft recipients were studied. The targeted tacrolimus trough concentrations were 20–25 ng/mL up to 2 weeks post-transplantation, 10–15 ng/mL up to 6 weeks, and 5–10 ng/mL thereafter. At 1 month and 1 year post-transplantation, allograft biopsies were performed. The CYP3A5 *1/*1 + *1/*3 (expresser) and *3/*3 (nonexpresser) alleles were detected in 19 and 22 patients, respectively. Although the mean trough concentrations were lower in CYP3A5 expressers than nonexpressers for the first 3 weeks, no difference in frequency of SAR among CYP3A5 genotypes was found. The mean trough concentrations were lower from 8 to 12 months post-transplantation, and the frequency of CAN was lower in CYP3A5 expressers. 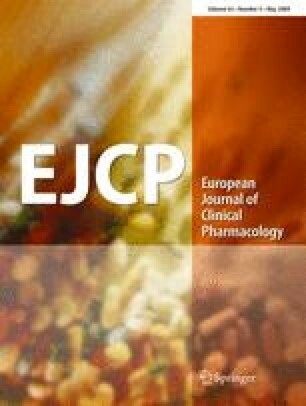 In contrast to the previous reports, the CYP3A5 *1 allele was not associated with the frequency of SAR or CAN, suggesting that further studies of different immunosuppressive strategies using tacrolimus are needed to confirm the adequate dosing and concentration of tacrolimus for each CYP3A5 genotype. This study was partially supported by a grant (No. 20591894) from the Japanese Society for the Promotion of Science, and published at the 2008 American Transplant Congress in Toronto.